Samsung might be the world’s number one phone maker by volume, but in the last few years, a new class of phones has emerged that has made its business so much harder. “Affordable flagships” like the OnePlus 6T, Pocophone F1, as well as phones by Xiaomi, Honor and other brands out of China bring flagship performance and surprisingly great cameras at very affordable prices. And Samsung doesn’t seem to have an answer to any of those devices. Its latest Samsung Galaxy A9 (2018) is a phone that hits that exact spot: priced at just over $500, it enters the hotly contested “affordable flagship” territory. Its magic trick? Not one, not two, not three, but four cameras on the back. That’s a first ever in a smartphone, in case you were wondering! 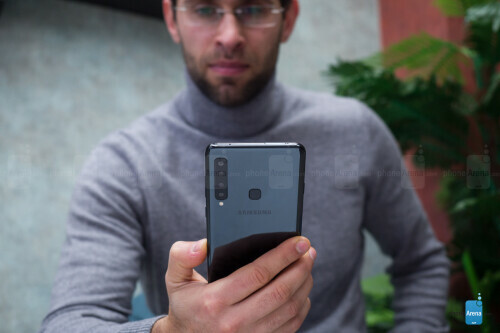 Plus, you can easily find this phone in physical stores where Samsung phones are sold, as long as it is officially available in your country, of course. The US isn’t on the list. 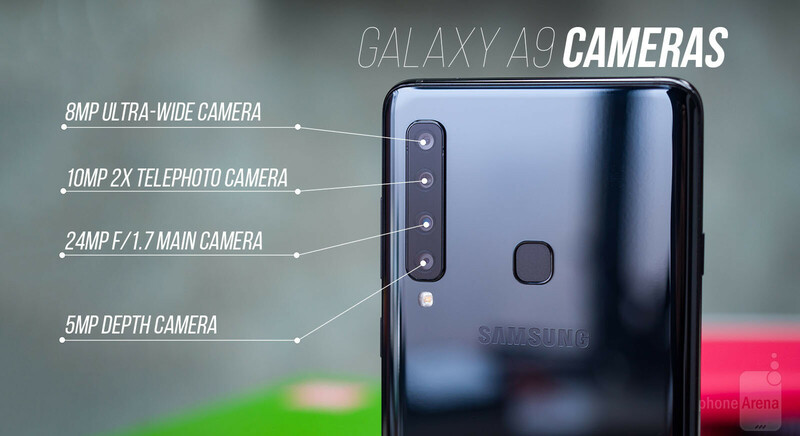 So, how does this new Galaxy A9 look when compared to the competition? And is it any good? Read on to find out. The Galaxy A9 2018 is made of glass and metal. 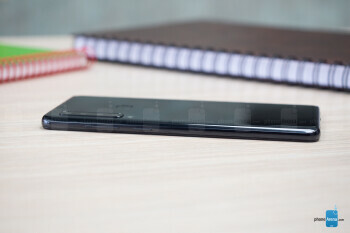 It has a slim profile and tapered sides that make holding this otherwise big phone much more convenient. Still, there’s no going around that this phone is wide and tall. You can see just how big it is in comparison with other popular phones below: it’s actually wider and much taller than, say, the OnePlus 6T or Pocophone F1.In terms of color options, we’ve got the classic black model up for review, but you have a bubblegum pink and lemonade blue color gradients that look a lot more fun. The back of the phone is glass on all of them and it is as slippery and easily smudged with fingerprints as you’d expect (very noticeable on the black model), so we would recommend getting a case for this one. 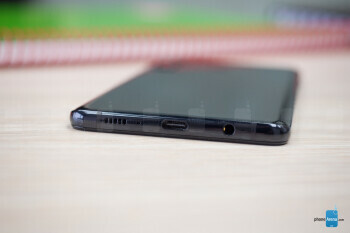 While we like the looks, we are disappointed with the build quality of the A9: wiggle the phone in your hand and you hear something rattling on the inside, as if Samsung forgot to screw in some component! This definitely does not feel reliable.Speaking of annoyances, the dedicated physical Bixby button is still here on the A9. A year and a half after Bixby’s launch in April 2017, our opinion about Bixby has not changed much: namely, we still think that the Google Assistant is a way more capable and actually usable assistant. We truly wish we had the option to use that Bixby button to start the Google Assistant, but alas, no luck. At least you can still disable Bixby Home that otherwise pops out when you press the Bixby button accidentally, interrupting whatever you were doing. To disable Bixby Home, first open it, then tap on the gears icon and switch the Bixby Home toggle off. On the back of the phone, you have the star of the show: the quad camera system, and we’ll take a closer look at it further in the review. Also on the back you also have a traditional fingerprint scanner. We found this scanner to be reliable, recognizing our fingerprint usually on the first try, but a bit on the slow side, as there is a very slow fade in animation. This feels like you have to sit and wait for one long moment until you can actually use the phone. In terms of ports, you have a USB-C port on the bottom and a 3.5-mil headphone jack, as well as a single bottom-firing loudspeaker (more on sound quality later). At the top, you have a true dual SIM + microSD card tray, and not a hybrid slot. One more thing: there is no special water-proofing on this phone, so be careful not to get it wet. To see the phones in real size or compare them with other models, visit our Visual Phone Size Comparison page. The Galaxy A9 features a 6.3-inch Full HD+ (1080 x 2220 pixel) display of the Super AMOLED kind and it looks beautiful. It has lively colors, well-tuned auto brightness, and it just looks good. As all recent Samsung phones, by default, it’s set to the Adaptive screen mode that produces punchy colors, but you can select between three other modes, including the sRGB gamut-compliant Basic mode for more toned-down colors. 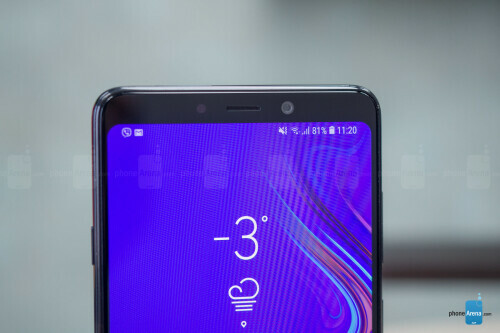 Samsung calls this an “Infinity Screen”, but you still have a very noticeable bezel at the top and bottom (no notch here, at least).We measured a top brightness level of 466 nits (measuring white), which is brighter than the screen on the OnePlus 6T, and we found that this boosted brightness helps with outdoor visibility under bright sunlight. This being a Samsung AMOLED screen, you also get the Always-on mode that shows you the time, date, battery level and missed notifications. This is very useful and something that most rivals are missing. Samsung Experience and Android, one version behind the times. Like so many mid-range Samsung phones, the Galaxy A9 (2018), regretfully, comes with a version of Android and Samsung experience that is behind the times from the very beginning. You have Android 8.0 Oreo (while the latest release that’s been out for months is Android 9 Pie) and Samsung Experience 9.0 (while other Samsung phones now run 9.5 and are just getting updated to the new One UI). Running an older version of the software on a brand new phone might be forgivable if we were dealing with a dirt-cheap phone, but the A9 costs more than $500! And as always, there is no clarity when or even whether the Galaxy A9 will be getting updates in the future. 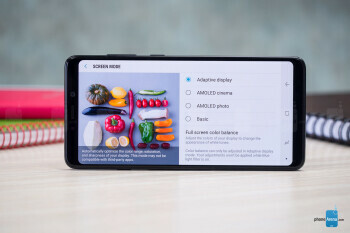 What this also means is that the Galaxy A9 is behind the times in a number of areas. Most notably, it lacks any form of gesture navigation, so you need to rely on the old three-button Android nav system. Mid-range chip with uninspiring performance. Under the hood, the Galaxy A9 2018 is powered by the Snapdragon 660 chip. Since this is a 6xx-series platform, you know that it is a mid-range chip that comes nowhere near the performance of flagships. Just look at the benchmarks below to see the big gap in performance between, say, the OnePlus 6T and the Galaxy A9. 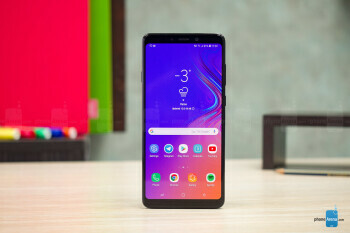 Still, you will notice this slower performance mostly in games and heavier applications, while in basic daily use the Galaxy A9 handles itself without much of a lag or stutter and runs fairly smoothly. 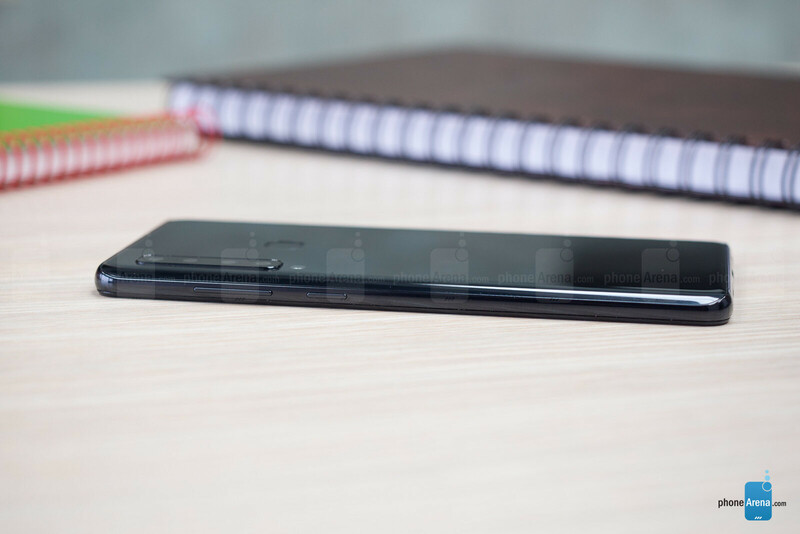 We’re glad to see that Samsung has equipped the base model of the A9 with 128GB of on-board storage and you have a true dual SIM + microSD card slot, so you can expand the memory without worrying about compromising dual SIM functionality. No proper US LTE bands. You should know that while the Galaxy A9 2018 edition is available in its unlocked, global version on retailers like B&H in the United States, the phone does not support US 4G LTE bands and will be limited to 3G connectivity. It’s also a GSM phone, so it will only work on GSM US carriers like AT&T and T-Mobile, but you will not be able to use it on Verizon or Sprint. 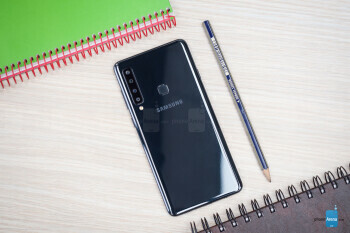 In terms of other connectivity options, you also have dual-band Wi-Fi, Bluetooth 5.0 and NFC support, plus you can also use Samsung Pay with this phone. The “world’s first quad camera” sounds like something important, but the reality is far uglier. 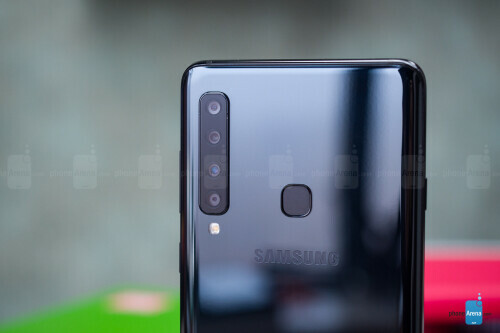 The star of the Galaxy A9 show is the new quad camera system that includes a telephoto camera, an ultra-wide-angle lens and a depth camera in addition to the main shooter. This setup offers you a lot of versatility when shooting: you can zoom in two times or go ultra-wide to fit more in the frame and shoot in tight spaces, and the depth camera enables portrait mode (Samsung calls it Live Focus). If you’re looking for an affordable mid-range phone with Android 9.0 Pie software, the Nokia 6.1 is pretty much impossible to beat right now. Commercially released in the US back in May at a recommended price of $269, the 5.5-incher dropped to $229 a few months ago, scoring an additional $30 discount in early November. Even though Black Friday and Cyber Monday deals are a thing of the past, the Nokia 6.1 has just been discounted again, hitting a new all-time low price of $179. You can get the Android One device in “Copper Black” only from B&H Photo Video, Amazon, or Best Buy, with 4G LTE support offered across the board for GSM networks like AT&T and T-Mobile. It almost goes without saying that the Nokia 6.1 battles the Moto G6 in the sub-$200 category, although the two handsets are hardly identical. 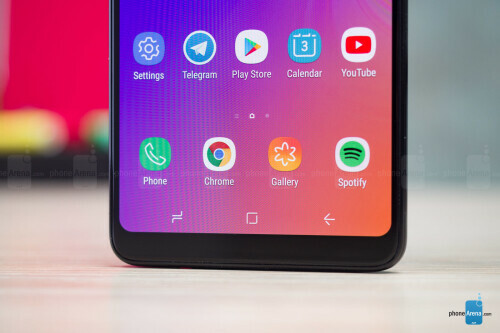 The G6 has a larger, trendier screen with a 2:1 aspect ratio and thinner bezels, while the 6.1 runs a newer, smoother OS version that’s also more regularly updated with Google’s latest security patches. Under the hood, Nokia’s low-cost mid-ranger packs a faster Snapdragon 630 processor, but the Moto G6 features two rear-facing cameras, compared to just one 16MP shooter on the back of the 6.1. Of course, that single cam is no pushover, rocking state-of-the-art Zeiss optics and dual-tone flash. 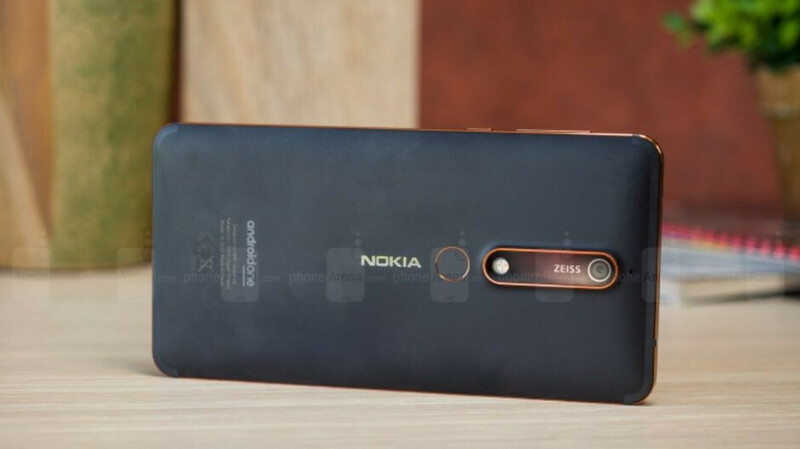 The Nokia 6.1 is also unusually robust for this very attractive price segment, with a top-notch 6000 series aluminum unibody construction. Add 3GB RAM and 32GB internal storage space to the equation, and you get a dreamy list of features for your 179 bucks. Go on, pull the trigger before it’s too late!